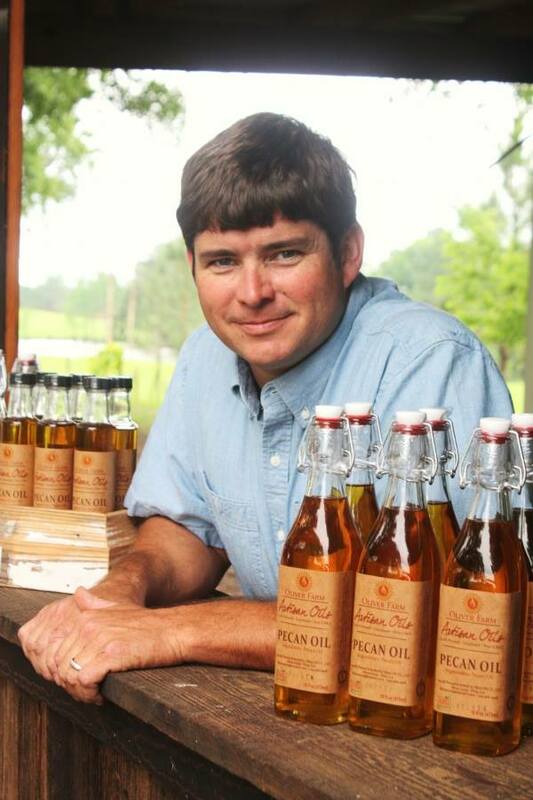 Clay Oliver of Oliver Farm gives an acceptance speech as a winner in the Oils Category at the Good Food Awards. The Oliver Farm located near Pitts, Georgia in Wilcox County is a family owned and operated working farm. Since 2012 the farm has been recognized by the state of Georgia for being a centennial farm; a farm owned by the same family for 100 years or more. Originally purchased in 1903 by Daniel Henderson Watson, the farm is currently owned and operated by the fifth generation of the same family.